Amsterdam 2 maart 2016. 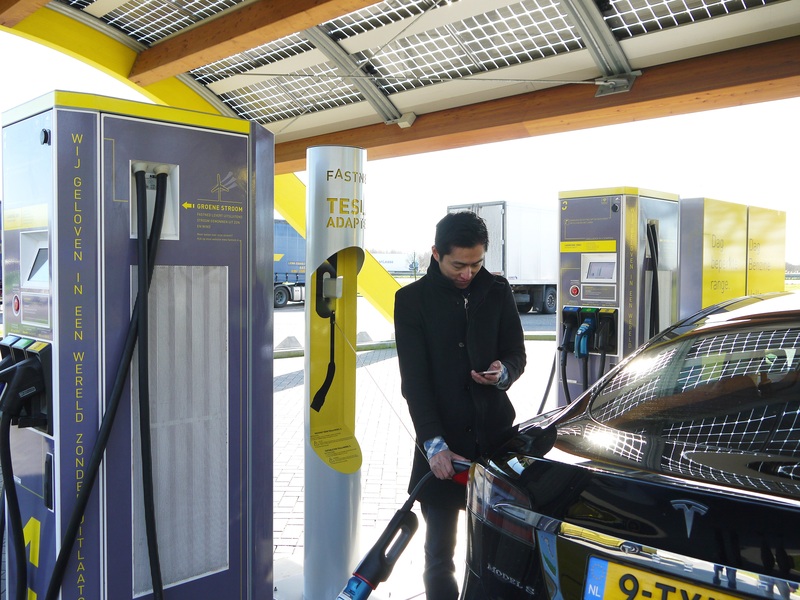 Fastned, that is building a pan-European network of fast charging stations where all electric cars can charge, will add Tesla adaptors at all of its 50 stations in the Netherlands within the next month. The adaptors allow Tesla drivers to quickly recharge their car and continue their journey. The 50 Fastned locations are a big step up from the current 7 Tesla superchargers in the Netherlands. With these new locations Tesla drivers no longer have to make detours to fast-charge their car.